Today's post should be a super simple and easy one, but WOW, the word "ombre" stirs up a lot of debate! 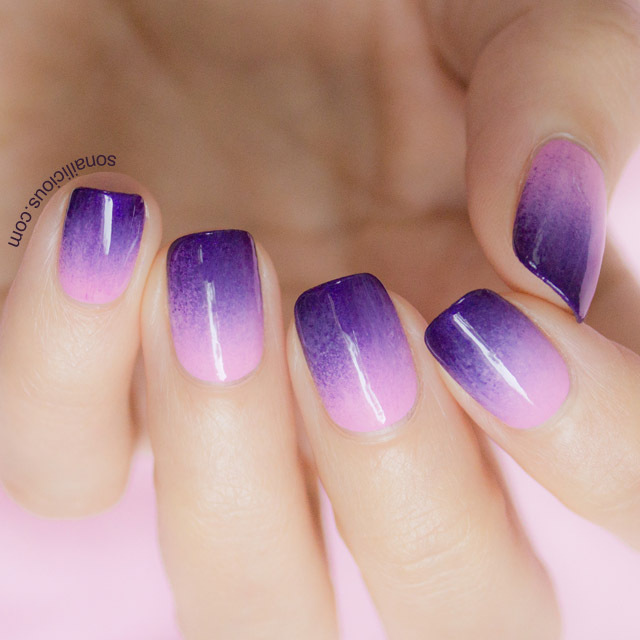 Ombre and gradient are very different things, yet if you Google "ombre nails" most of what you will see are gradients! No wonder everyone is confused! So, what is an OMBRE? Ombre literally means shadow, in French. An ombre mani, therefore, is one where the nails move through varying SHADES of the same colour, from light to dark, or dark to light, across the entire hand. 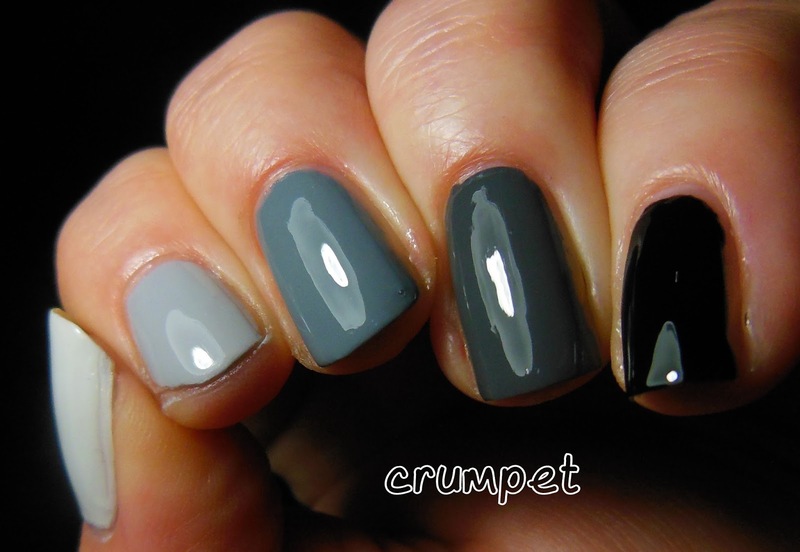 A TRUE ombre actually uses only one coloured polish, with black and white added. The proper way to create your ombre is to paint your middle nail, and then add a blob of white to that colour before you paint your index, and then dilute it again with white to do your thumb. For your other 2 fingers, you do similar - one blob of colour and one blob of black for your ring finger, and add more black for your pinkie. A word of caution - when using colours such as blue, purple, green, really think carefully about whether you are using hot or cold shades. If you try to mix them, the ombre will jar to the eye. If you think of purples, some are browny-purples, some are bluey-purples - if you mix them in the same ombre, it really won't look right. If you want to read a GREAT post on gradients v ombre - click HERE to read a post by The Swatchaholic. Right, let's look at some of the manis that crop up early on in Google images and decide whether they really are ombres. Clearly a gradient - the same 2 colours used on each nail. Gorgeous, but not an ombre. Again, looks like a gradient to me. Interestingly, I also see Sammy, The Nailasaurus's, FAMOUS gradient tutorial, but relabelled (without her watermark) as "how to create an ombre". Idiots, as well as thieves. Now, to me, this is a gradient, but I have some sympathy for why this may be called an ombre, because each nail does move distinctly from light to dark (gorgeously). However, the movement needs to be across the HAND to be an ombre. I hope that's helped clear things up. As ever, you're welcome to come and post your manis and have a chat and a natter in our Facebook Group HERE. Next week we look at Saran Wrap and then we start our first 4-week rotation with dotting tools!